Just because your nail art skills are limited, it doesn’t mean your clients can’t have unlimited options when it comes to the variety of designs they wear on their nails. 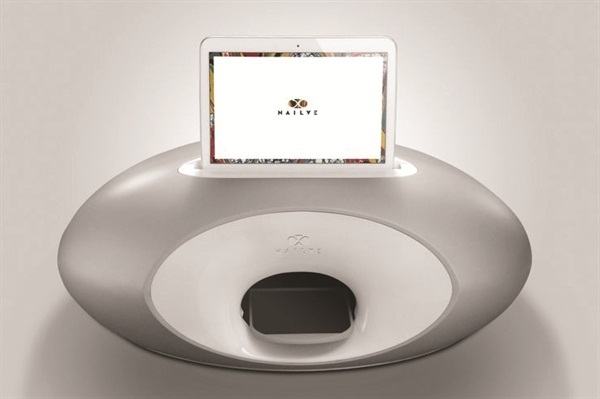 The Nailae nail art printer, brought to you by AST Systems, offers extensive design options in its library of designs. What’s more, users can personalize their nail designs by clicking pictures of people or designs from their surrounding environment. Photos can be printed on the nails with HD quality in minutes. Your role as nail tech is to do all the prep work, then place the client’s hands in the device. Nail levelers work to keep the client’s fingers straight while the design is printed on her nails using Nailae’s fast, accurate technology. The easy-to-use printer comes with a touch screen that displays the options for the nails. Designs can easily be shared on social media as well. For more information, go to www.nailae.com.